I still can’t believe what some NUFC fans are now saying about Jamaal Lascelles.. 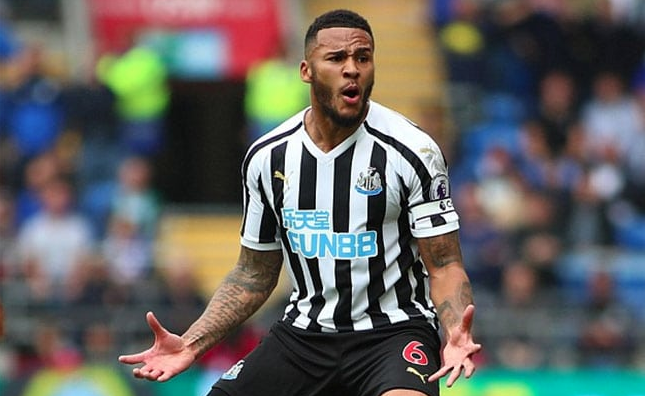 He may have struggled following his return from injury – with him arguably at fault for both goals on Sunday – but some of the things I’ve seen NUFC fans say about Jamaal Lascelles over the past few days have been pretty shameful – showing just how fickle football has become. We all know he had a stinker against Wolves on Sunday, but it was perhaps only noticeable how poor he was because he’s generally been an absolute rock since we earned promotion last summer. Thankfully, the majority still see sense, with 59% saying they would NOT cash in, but it’s alarming to see that over 40% of voters are suddenly happy to see him leave. For me this highlights just how fickle some sections of our fanbase can be. 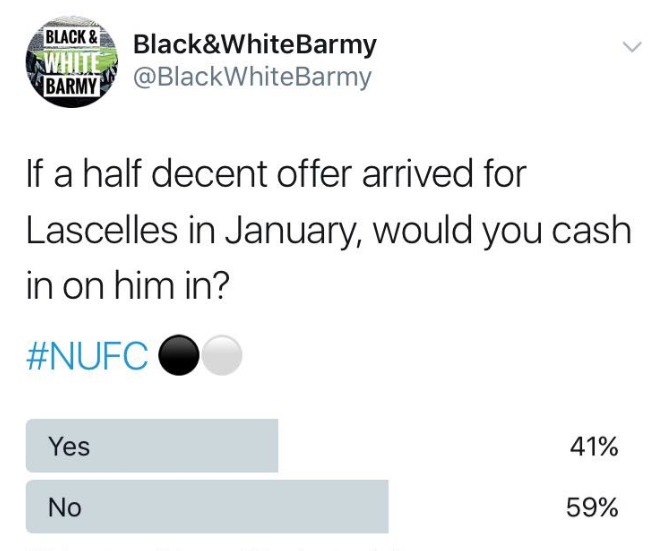 Football is a game of opinions and, yes, it’s true that Lascelles hasn’t been quite ‘at it’ this season and needs to up his game, but it’s far too black and white. You don’t go from ‘priceless’, being scouted by top sides, ‘our best CB’ and a player ‘robbed’ of an England call up to someone who we’d suddenly be better off without after a few bad performances. Lascelles is our fifth best centre back. Lascelles is diabolical, said this for a while now whilst everyone was going bonkers over him. Mo Diame is awful, why does Rafa persist in playing him?! I’m unable to post most of the tweets I’ve seen about the skipper on Twitter (as those with expletives won’t show up on here), but I really am ashamed to see how SOME of our ‘supporters’ have turned on the skipper. NUFC news round up – Saturday’s opponents dealt huge blow & NUFC outcast set for £4m move? Have to agree with the tide – he was diabolical in the last 2 games. Cost us a hatful of points. And no – it’s not because he’s been “so good” previously. He was bad by anyone’s standard. “Bramble-esque” is the term I’m looking for. The goal against Wolves where he hardly got off the ground and then looked for someone to blame when the guy behind him scored was classic Titus. While most would agree he hasn’t been as good in the last few games, he is still a top defender and rated so by many outside of Newcastle. I feel the same way about how some are getting on the back of Perez. He is a hard working member of the squad. He covers a lot of ground during match. Yes he could do with being able to be more clinical in front of goal, but some of the goals he has scored by his delicate flicks if they had been scored by Messi or Ronaldo they would be talked about on every TV covered match for months. We have some decent players who give their best…..isn’t that what the cry was awhile back? Then stop whinning and support the team not harrass them. Give them a reason to try harder and play better.